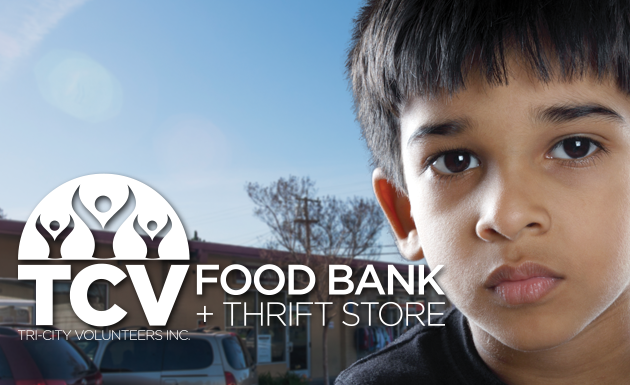 Tri-City Volunteers | Your support will help us make big strides towards our goal to “end hunger… here”. Your support will help us make big strides towards our goal to “end hunger… here”. In these uncertain and fragile economic times, hunger is a constant and when neighbors and their children go hungry, the effect on our community is far-reaching. That’s why your support of our mission “to eliminate hunger and promote financial self-sufficiency” is so very important. Donate 100% - Add 3% so that 100% of the donation goes to Tri-City Volunteers. Tri-City Volunteers has partnered with Network for Good to securely process your online credit card payment via Network for Good (tax ID 68-0480736). This transaction will appear on your credit card statement as "Network for Good." This transaction is subject to Network for Good’s Privacy, Security & Disclosure Statement and the Charitable Solicitation Disclosure.